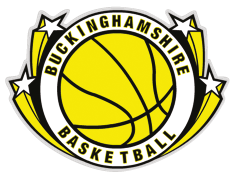 The Buckinghamshire Basketball Association is run by a committee of volunteers from basketball clubs across Buckinghamshire. It operates the Buckinghamshire Basketball League, the County Performance Centre (CPC) and the Buckinghamshire County Squads. It also supports the Schools County Cup and intends to host training courses for Coaches and Officials each year. Our goal is to encourage participation and promote the sport of basketball across Buckinghamshire.